Comment on Feb 19, 2018 - looks like this foreshadowed Nintendo's entry into the mobile market as their first mobile game Pokemon Go was released in 2016! It's official, Nintendo is now joining the mobile world. The video game giant has announced today that they will be releasing an "app" in the Android Market later this year. The Nintendroid app, as it is called will be similar to the existing Wii Shop Channel and Nintendo DSi Shop operated by Nintendo. Users can buy games to play on their Android phone using pre-purchased Nintendo Points, or by paying with their credit card. Android is an open source mobile operating system developed by Google, and is used by many mobile phone manufacturers such as HTC, Motorola and Sony Ericsson. By releasing an Android app, Nintendo will be greatly expanding their portable reach, which is already substantial with the Nintendo DS, and also the recently launched 3DS. "Since Android is an open source operating system, we're deciding to take advantage of the hardware made by our competitors, by making our games available to them. 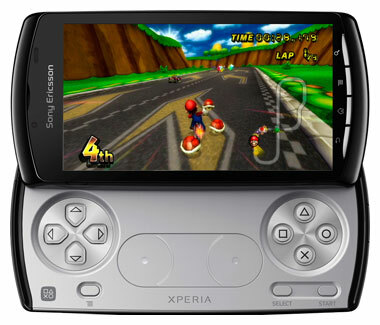 There is a bit of irony seeing a Mario game on a device like the Xperia PLAY by Sony Ericsson, " said Reggie Fils-Aime, President of Nintendo of America. A game availability list has not yet been announced, but a variety of games currently found on the Wii Shop Channel will be available, in addition there will be some mobile ports of GameCube and Wii games as well. Most modern mobile phones now include an accelerometer, which can be used for games that use motion control. Nintendroid will be available in the Android Market for free download. Nintendo has not announced whether they will be developing an app on other mobile platforms such as Apple iOS, Windows Phone 7 or BlackBerry. The Nintendroid logo will feature the Android robot sporting the red and white colors of the R.O.B. accessory that was released for the NES in 1985. Source: SM128C contributor "A Roof Pill"